Biosupercapacitor; highly conductive transparent film; electroplating cathodes. Researchers from UCLA and the University of Connecticut designed a biological supercapacitor, a new biofriendly energy storage system which operates using ions from fluids in the human body. The device is harmless to the body’s biological systems, say the researchers, and could lead to longer-lasting cardiac pacemakers and other implantable medical devices. The supercapacitor charges using electrolytes from biological fluids like blood serum and urine, and it would work with an energy harvester that converts heat and motion into electricity. Modern pacemakers are typically about 6 to 8 millimeters thick, and about the same diameter as a 50-cent coin; about half of that space is usually occupied by the battery. The new supercapacitor is only 1 micrometer thick. 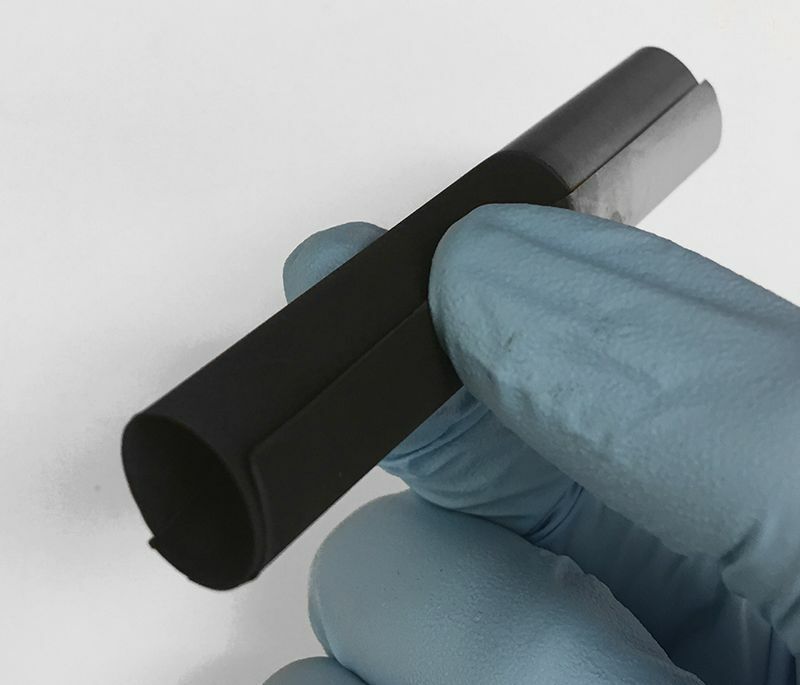 It also can maintain its performance for a long time, bend and twist inside the body without any mechanical damage, and store more charge than the energy lithium film batteries of comparable size that are currently used in pacemakers. The new biosupercapacitor comprises graphene layered with modified human proteins as an electrode. The new platform could eventually also be used to develop next-generation implantable devices to speed up bone growth, promote healing or stimulate the brain, said Richard Kaner, a distinguished professor of chemistry and biochemistry, and of materials science and engineering at UCLA. Researchers at the University of Minnesota, Washington University, and Lawrence Berkeley National Laboratory developed a new nano-scale thin film material with the highest-ever conductivity in its class, as well as a wide bandgap lending it optical transparency. “The high conductivity and wide bandgap make this an ideal material for making optically transparent conducting films which could be used in a wide variety of electronic devices, including high-power electronics, electronic displays, touch screens and even solar cells in which light needs to pass through the device,” said Bharat Jalan, a University of Minnesota chemical engineering and materials science professor. Currently, most transparent conductors use indium. The price of indium has generally gone up over the last two decades, adding to the cost of current display technology. In attempting to find an alternative material, the researchers developed a new transparent conducting thin film using a novel synthesis method, in which they grew a perovskite BaSnO3 thin film (barium, tin and oxygen, called barium stannate), but replaced elemental tin source with a chemical precursor of tin. The chemical precursor of tin has unique, radical properties that enhanced the chemical reactivity and greatly improved the metal oxide formation process. Both barium and tin are significantly cheaper than indium and are abundantly available. The team said this new process allowed them to create this material with unprecedented control over thickness, composition, and defect concentration and that this process should be highly suitable for a number of other material systems where the element is hard to oxidize. The new process is also reproducible and scalable. “Even though this material has the highest conductivity within the same materials class, there is much room for improvement in addition to the outstanding potential for discovering new physics if we decrease the defects. That’s our next goal,” Jalan said. Since the electroplated cathode doesn’t have any glue taking up space, it packs in 30% more energy than a conventional cathode, according to the researchers. It can charge and discharge faster as well, since the current can pass directly through it and not have to navigate around the inactive glue or through the slurry’s porous structure. It also has the advantage of being more stable. Additionally, the electroplating process creates pure cathode materials, even from impure starting ingredients. This means that manufacturers can use materials lower in cost and quality and the end product will still be high in performance, eliminating the need to start with expensive materials already brought up to battery grade, said Paul V. Braun, a professor of materials science and engineering and director of the Frederick Seitz Materials Research Lab at Illinois.